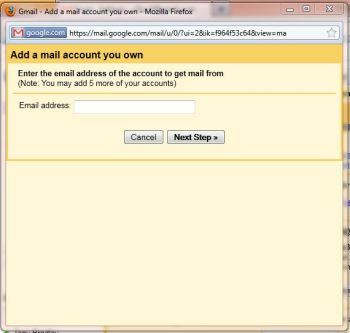 Warning : If you choose to use the Gmail server, your emails will appear to come from your default Gmail account rather than from the specified email account. 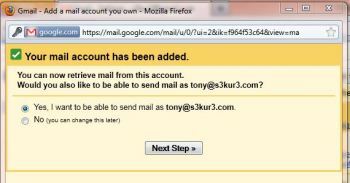 For example, the recipient will see ‘s3kur3@gmail.com on behalf of Tony Bradley’ as the sender rather than just Tony Bradley, or just tony@s3kur3.com. 9. If you choose your own server, you must enter the username and password credentials, and the outbound server information to use. You also must specify whether to use SSL or TLS encryption for outbound messages. 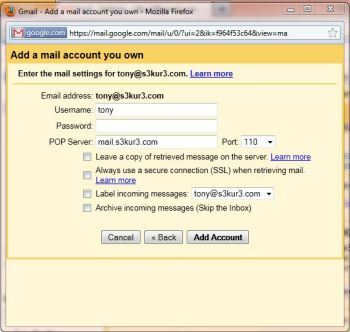 If you just want to send unencrypted SMTP email, click the port drop-down list on the right side of the screen and choose 25–the default SMTP port. Then a new radio button choice will appear below for Unsecured connection along with a warning from Google recommending that you not send your email messages unencrypted. But, it works. 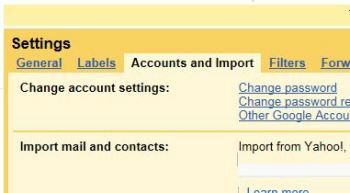 Now I don’t have to use Outlook because all of my email messages are received in Gmail, and I can send messages from any of my accounts through Gmail as well.